Telecom service providers pair cable television with internet service, grocery stores match laundry and bath items, fast food restaurants put together burger, fries, and drink into value meals — the practice of product bundling is universal. Almost every market or every industry has product bundle offerings. And eCommerce is no exception. The use of product bundling is a pricing strategy to get more customers to buy more products. When customers purchase more products at once, the average order value also goes up. While product bundling is a fairly popular concept for online stores, as a sales and marketing strategy, it is weakly understood. This poses a challenge for many online stores to explore more about product bundles to their advantage. And that’s what we’re here for. Today, we’ll take a look at how product bundling works, what product bundle types can help you win more customers, and get the best tips and practices on how to implement them effectively. In the simplest sense, a product bundle is a grouping of individual products that can be sold separately but are sold together. This is usually done as a promotional activity. Any scenario that requires you to group products, regardless of purpose, to represent them by a single merchandise can be considered a bundle. A bundle is a product in itself. It has its own distinctions such as IDs, descriptions, and other attributes. You can classify a bundle just like how you do it in any other product. You can also apply validation rules for combining a certain set of items. Why Product Bundling Works Effectively? The secret why product bundling works well is deeply rooted in a psychological process called customer value perception. As a general rule, customers favor products that they find valuable or worth it to buy. And in product bundles, customers perceive that they will save if they purchase a bundled item at a cheaper price instead of buying them as individual products. Furthermore, bundled products greatly affect your shoppers’ subconscious judgment. Say, for instance, rather than going through the hassle of looking at multiple products or going back and forth on different product pages, offering your shoppers with a bundled item at a discounted price makes their buying decision easier and faster. This also leaves your shoppers feeling like they’ve bought several products at a bargain. Again, it’s all about leveraging on the customer’s perception of savings, value, and convenience — that’s why product bundles work effectively. Should you Bundle your Products? Will you be able to you afford it? Although you’ll have an increase in customer’s average order value, individual product margins will be lower. Choose the product items that you can afford to put together as a bundle. Can your eCommerce platform support bundling? Your backend’s product inventory management should be able to handle the demanding process of product bundling. This will ensure that your front end will run smoothly without error such as out-of-stock items. Do you actually have a demand for it? Analyze your customer’s buying behaviors. See if there’s a positive correlation between product purchases. Pure bundling takes place when the individual products that make up the bundle are only made available when purchased as a bundle. The individual products cannot be purchased by customers separately. This type of bundling is sometimes used by monopoly industries and favored because it limits the choices available to the consumer, thus, there’s a higher chance of a faster conversion. Cable services offer different bundled packages of television channels but customers can’t choose the channels individually. 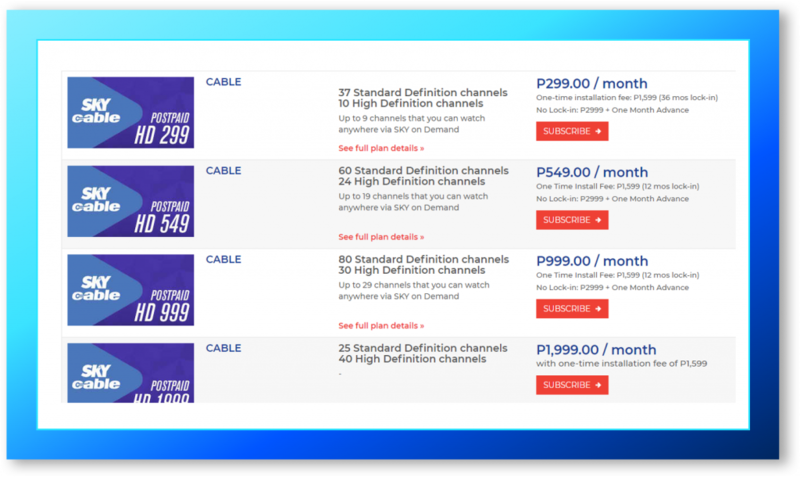 For example, SkyCable has a variety of bundled packages with a different number of tv channels. In order for customers to get the channel that they want, they have to pay for the other channels in the bundle. Mix and match bundles or custom bundling is widely used by brick and mortar stores. You’ll see them as a dozen donuts, a bundle of soda cans or a six pack of beer. These bundles will allow customers to choose similar products in multiples. It’s a great opportunity to sell more products by offering them in bulk because shoppers feel like they’re in direct control of the transaction. This type of product bundling is ideal for online stores with fast-moving consumer products such as perishable products and also recommended for items that can be bought in large quantities such as shirts, toiletries, and dining sets. 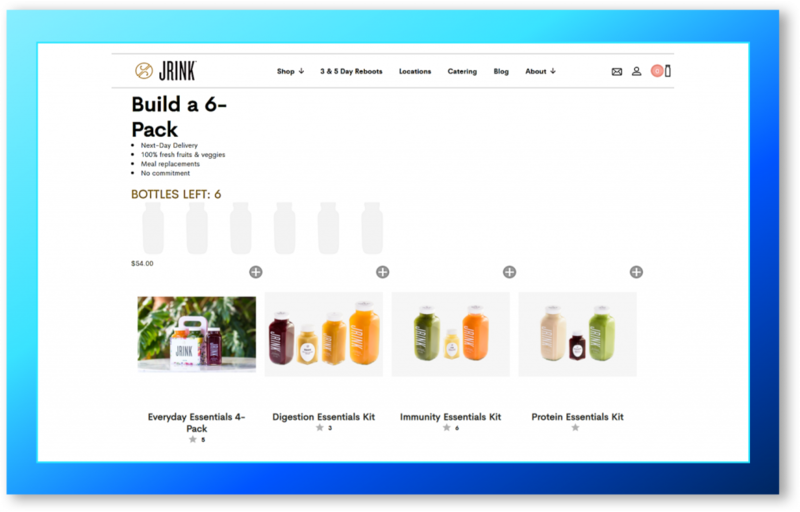 A great example is Jrink’s ‘Build a 6-Pack’ bundle promo which allows shoppers to choose a variety of bottled juices into the set. You can use the popularity of a certain product to drive the promotion and discovery of your newly launched products or less known items. This product bundle type is commonly used by online stores to take advantage of the popularity of well-received merchandise and bring some exposure to other products. The stronger product will bring shoppers closer to the weaker ones and hopefully get them into a new audience or noticed by a new market. 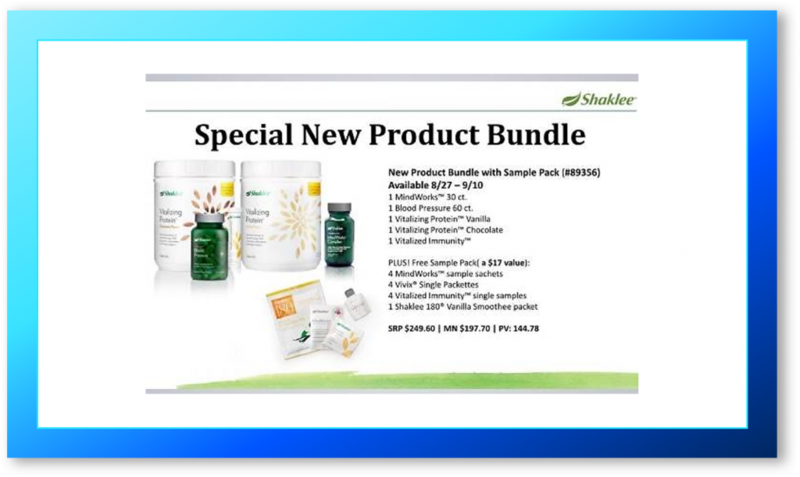 For example, Shaklee created a new bundle of their best-selling item and free samples of their newly launched products. Upselling is a marketing technique where you offer a similar product that’s either an upgraded version or a more expensive one in lieu of the selected item. Let’s say a customer is looking at your Smartphone 2017 but you already have the new Smartphone 2018, this is a perfect upselling opportunity to present the latest version of your product. Typical upselling strategies stop by just offering the upsell product, however, you can also maximize this scenario by swapping your upsell product into an upsell bundle? 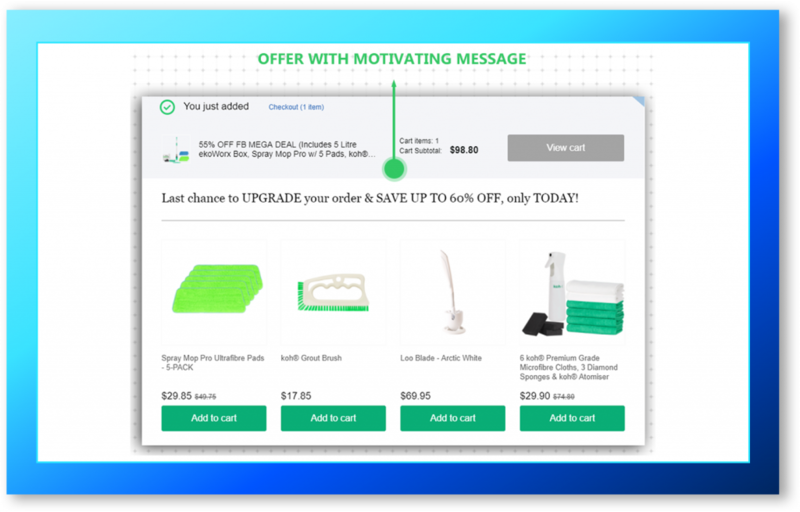 This way you’re adding more value to your upsell offer. 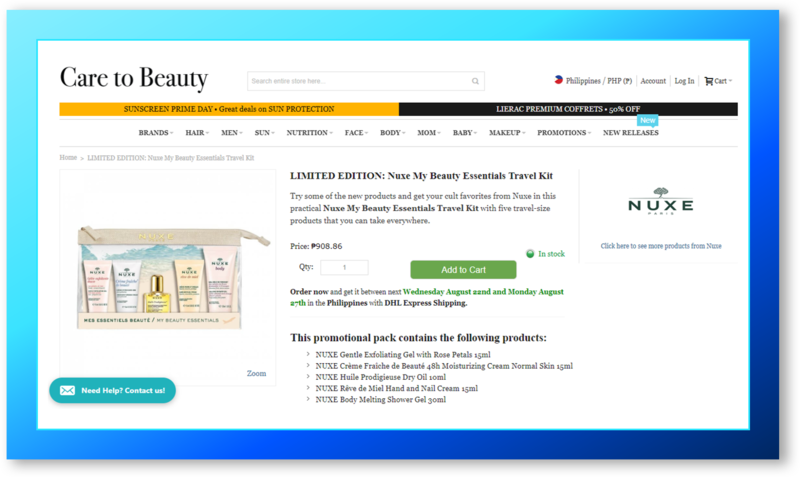 For example, ekoWorx entices shoppers to a product upgrade with upsell products and bundle. The company used the Boost Sales app to display upsell product recommendations. This resulted in $336k+ increase in revenue. Closely related to upsell strategy, cross-selling shares the same principle. The difference, however, is that cross-selling uses complementary or supplementary items related to the main product being viewed by the shopper as add-on offers. This type of product bundling is ideal for products with accessories or parts such as smartphones and earphones. For instance, DOWNLITE figured out that there’s a positive correlation between the orders of pillows and pillow protectors. 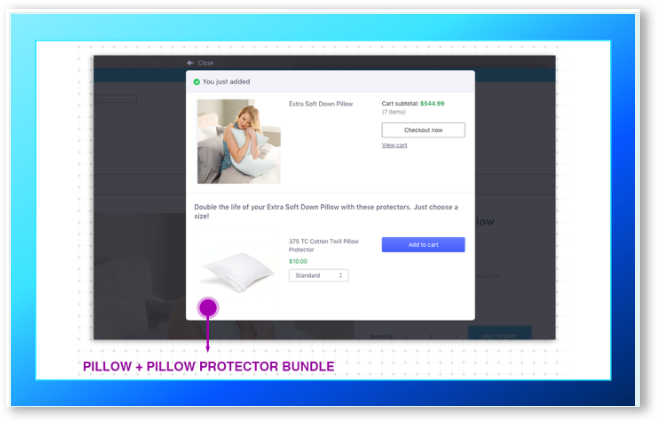 To take advantage of this, every time shoppers add pillows in their carts, they’re presented with a cross-sell offer of pillow protectors. The outcome of this bundling generated a $45k+ boost in sales. Necessity or occasional bundling is a practice of putting a collection of products is put together based on basic necessities, celebration, season or occasion. This is widely used by online stores to take advantage of the limited period of time. For example, certain items can be bundled by a holiday season such as Valentine’s Day. You can also take advantage of basic human needs such as selling ‘Travel Kit Essentials’ as a bundled product. 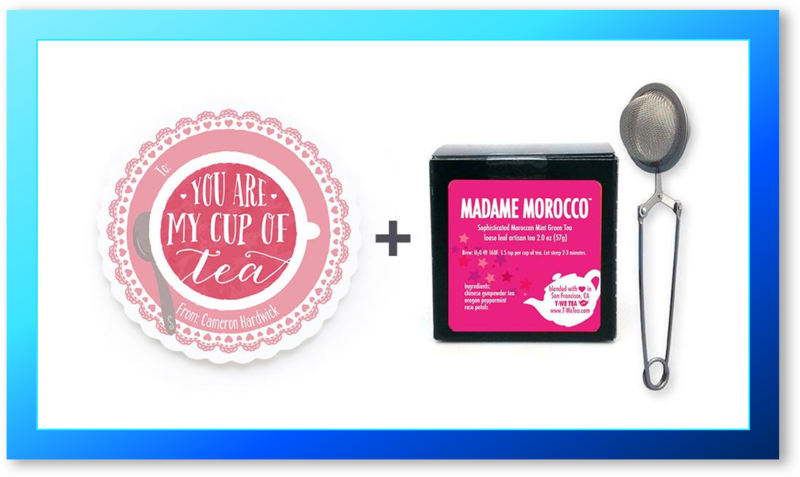 For example, Care Beauty offers a bundled travel kit of beauty products. Having too much or slow-moving inventory is two of the things that online merchants should avoid. Not only that they’ll take up your precious backroom or warehouse, old or excess inventory can tie up your capital and prevent you from investing in other valuable strategies or from purchasing other more bankable products. Product bundling is not only a promotional strategy but it’s also a good opportunity for you to clear unwanted stock off your inventory. If a product isn’t moving as quickly as you hope or has been in stock for too long, you can pair it with a faster-moving merchandise. That’s what exactly the T-We Tea did. The specialty tea retailer realized that their low-margin products (tea accessories) were moving quicker than their high-margin ones (specialty teas). This brought about the creation of offering specialty tea and tea accessory as a paired bundle. Gift guides are important for shoppers who are always on the go. Plus, most of the time, shoppers look for inspirations when they are about to give gifts to their loved ones, friends, and acquaintances. So, when shoppers are busy looking for the perfect gifts, present them with irresistible gift set bundles. Gift set bundling works because customers want the best gifts. Their mindset is that the more items they can give as a gift, the better chance that the recipient will appreciate it. Gift sets are typically done during the holidays because shoppers are in the gift-giving mood. For instance, Helix Towels takes advantage of this time by offering shoppers with holiday gift sets. BOGO (Buy One, Get One) style bundling is a type of product bundling that offers shoppers with a discounted or free item when they purchase a full priced product. This is best recommended for one-time use products (e.g. : hair straighteners) meaning a customer won’t likely return to your store to buy that similar item. One-time use or purchase products are usually more expensive and slow-moving consumer products. Since you already know that shoppers won’t visit you again to buy the same product, you can motivate your shoppers by pairing the one-time use product with either a free item, a discounted product or a gift card. You can also use the free product or special discount to encourage customers to add more items to their carts or to hit a minimum order price. For instance, Saratoga has a 15% off BOGO offer to all shoppers with over $50 order. 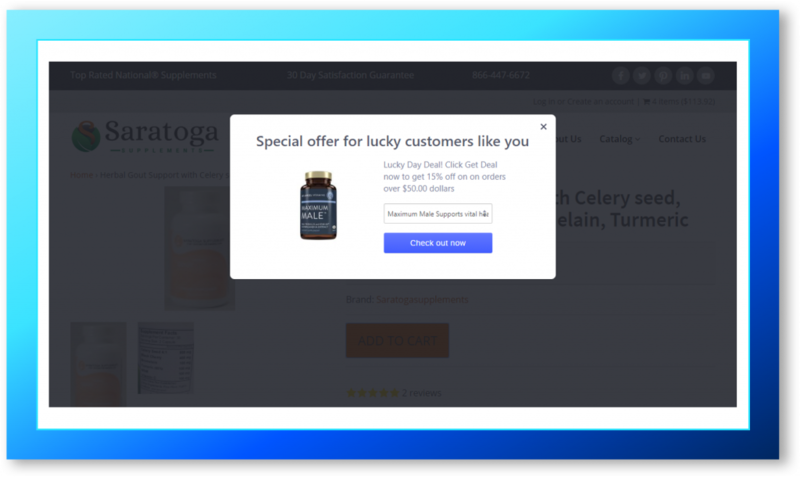 To do this, try using the BOGO feature of the Checkout Boost app which enables displaying a popup BOGO offer to encourage shoppers to check out. At first, creating an effective product bundle can be overwhelming and daunting. Online stores won’t just have to worry about understanding their customer’s needs and wants, but they also must ensure their profitability, inventory, and overall supply chain management. Emphasize on savings – The cost savings for your customers is an important aspect for your product bundles to be successful. Shoppers must feel that the bundle is worth it. However, the cost savings don’t have to be huge, but they must be noticeable. Again, play with customer value perception. Take a look at your stock – Before creating your bundles, gauge if you’ll be able to supply the possible surge in demand. If one item from a bundle runs out, then the whole product bundle will be messed up. Be mindful of your profit margins – You want to be profitable with your bundled offerings. If you want to steer clear of huge price discounts, consider incorporating a really enticing free product with a good margin. Test and measure performance – Keep track of your bundled product’s performance. Monitor closely if you’re actually getting a good traction of the product bundle or not. See if there’s a negative impact on other products. For your online store to benefit from product bundling successfully, you need to carefully consider a lot of factors such customer demands, profit margin, inventory levels, and supply chain management. We have presented you with different ways to assess whether or not you are capable of offering product bundles. If you decide that product bundling is right for you, then choose from our complete list of product bundle types for your online store and start putting together your success.